February is National Career and Technical Education month and the CTE team at Unity has so much to celebrate! The department is focusing on educating students district wide about what Career and Technical Education is and why it is beneficial. 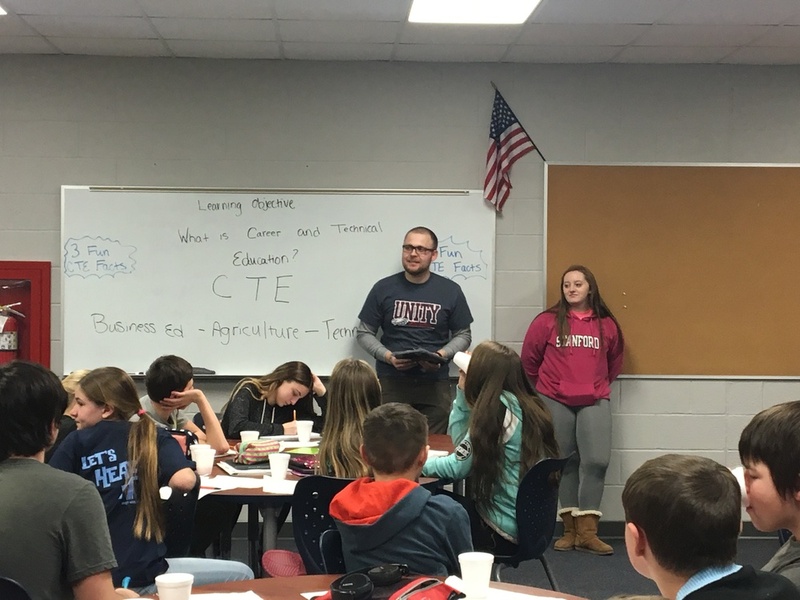 The department consists of Agriculture teacher Lisa Jagielo, Business Education teacher Jaclyn Ahlgren, and Technical Education teacher Jake Lee. On Friday, the team held an informational session for middle school students. They talked about the importance of college and career readiness and the vital role CTE plays in their future.